Stream anime episodes online for free, Watch One piece Episode 23 English version online and free episodes. 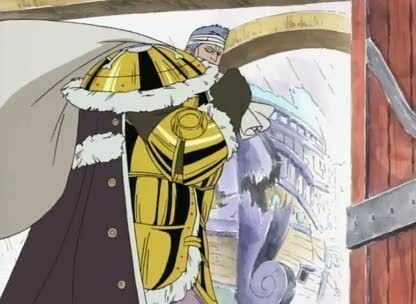 Anime Episode guide One piece Episode 23 English dubbed The Red Footed Pirate It is revealed that Chef Zeff was a great pirate known as Red Foot Zeff who sailed in the Grand Line, but lost his leg at some point. Ghin explains the catastrophe the fleet met in Grand Line when they encountered Hawk-Eyes Mihawk, who destroyed all but one of their ships. Krieg feeds his men and is about to begin to attack the Baratie when Mihawk attacks his ship.